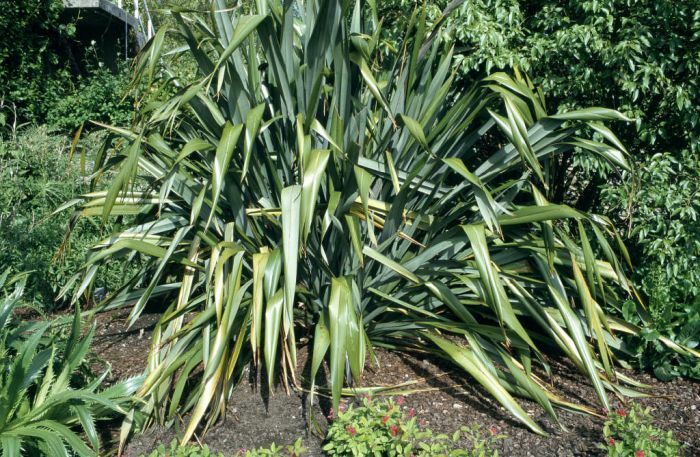 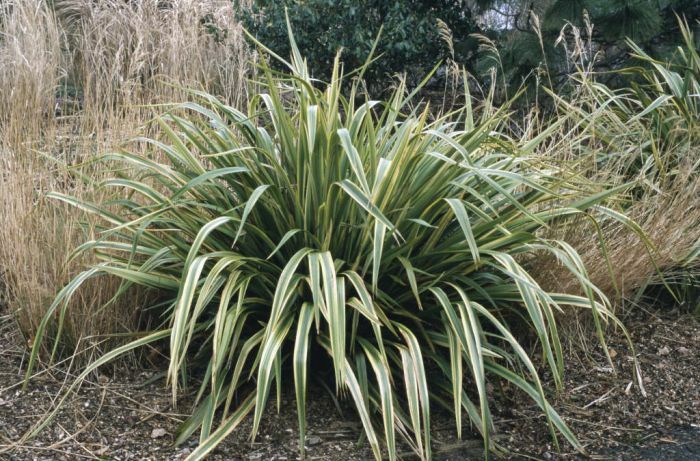 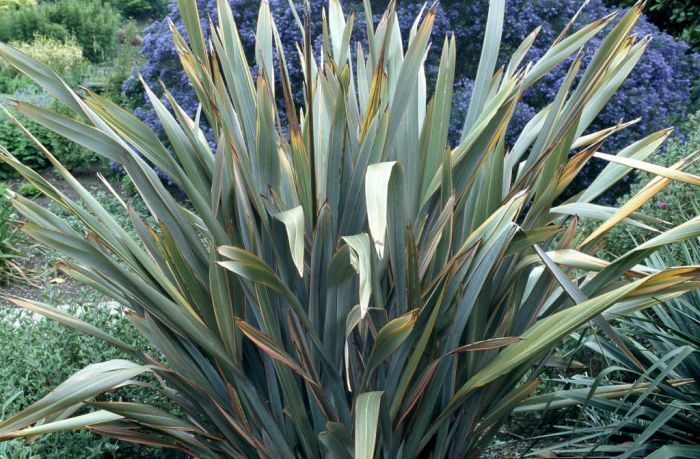 'Maori Queen' (v) is an evergreen, clump-forming perennial to 90cm tall. 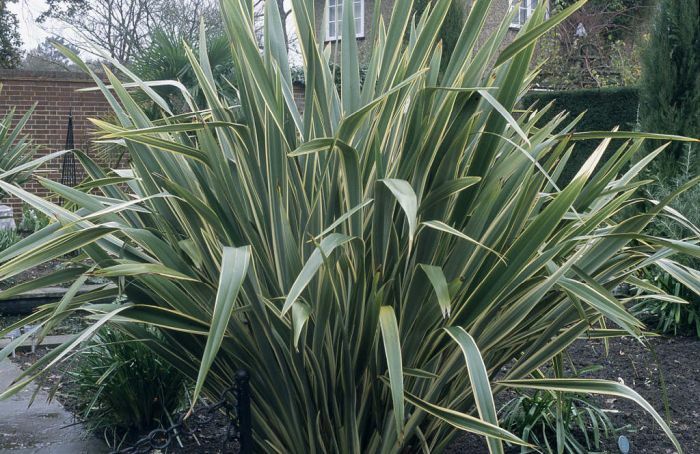 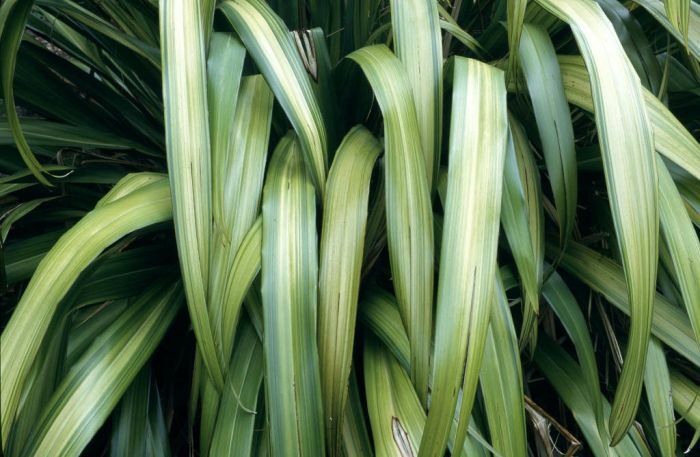 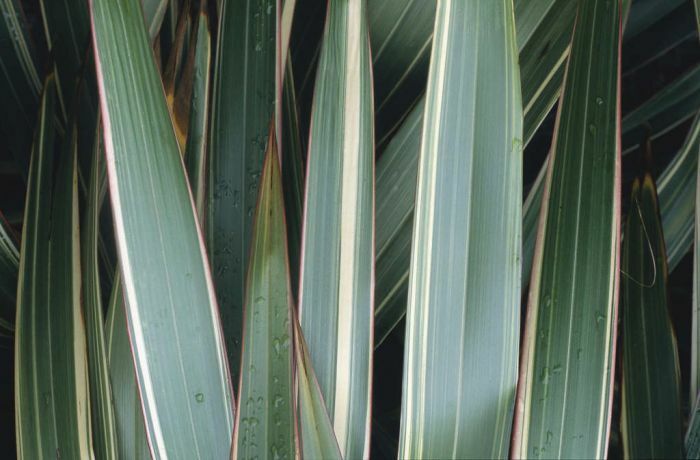 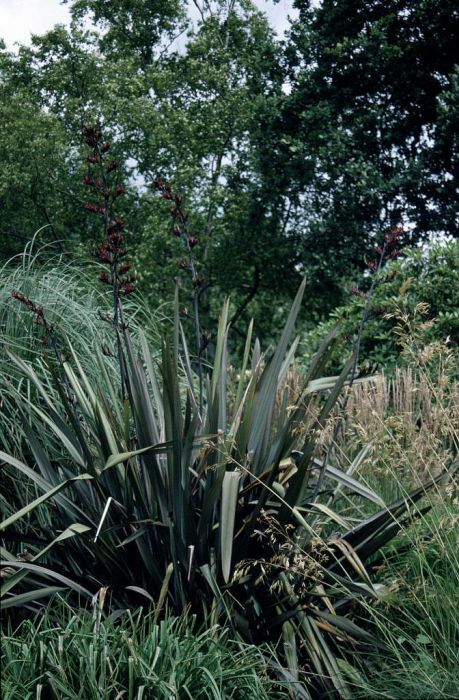 Upright bronze-green, strap-shaped leaves, drooping at the tips have rose-red stripes. 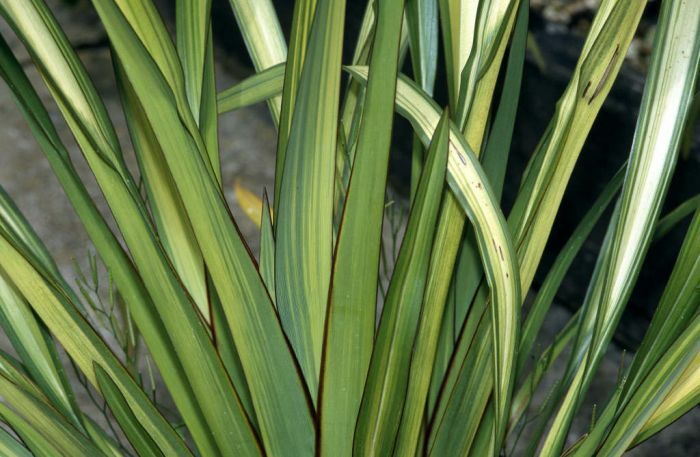 Panicles of tubular yellowish flowers are borne in summer.